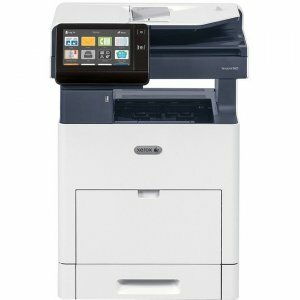 Multi-format, multi-talented MFP delivers at 35 ppm Loaded with standard features, the 35-ppm, SRA3/12x18 Lexmark CX921de supports demanding workloads through a powerful combination of printing, copying, scanning, faxing and optional finishing. 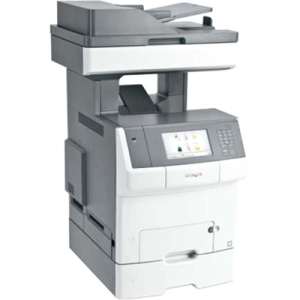 Features Multi-format output Color output up to SRA3/12x18 makes a big impression, while additional paper trays allow A4/letter-size printing and a multipurpose feeder takes small envelopes. 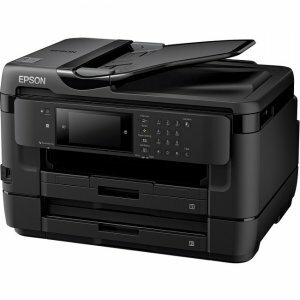 Among the wide range of media types accepted are card stock, glossy stock, recycled paper, transparencies and labels. 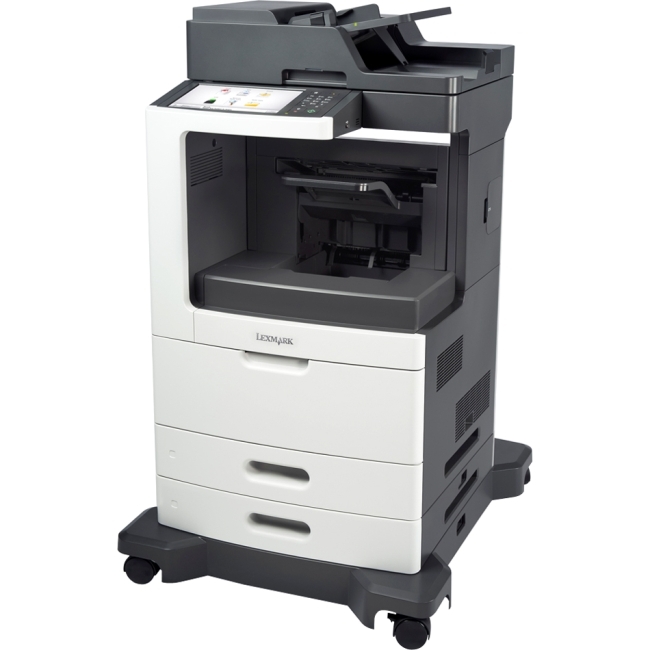 High-capacity production yields Genuine Lexmark toner cartridges print up to 34,000 mono or color pages, while fusers and developer units both go up to 600,000 pages for impressive uptime. 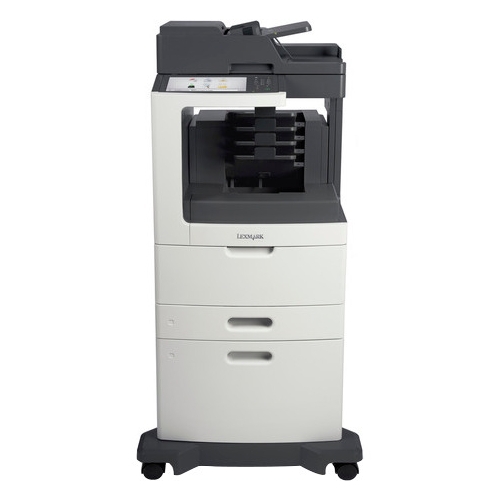 Speedy scanner Duplex automatic document feeder (ADF) holds 100 sheets and supports scanning at up to 160 sides per minute. 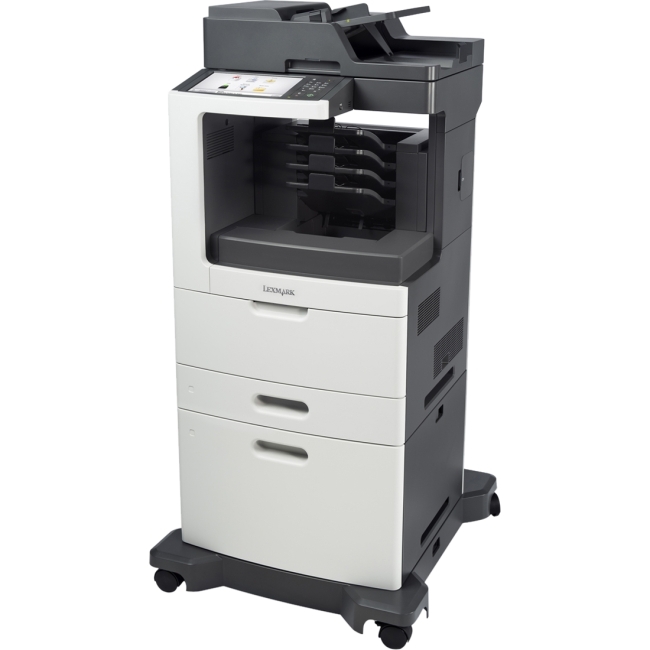 Support for mixed originals, page-level jam recovery, standard OCR, and a "classify and route" option fulfill the highest-speed automated scanning requirements. Intuitive color touch screen The large 10-in. class color touch screen with next-generation e-Task interface features an ultra-smooth surface and can be activated by almost anything, including pens, fingertips or nails-without pressure or direct skin contact. The modern interface is familiar to users, minimizing the need for training. Software solutions Enhance your user experience and productivity with the included solution apps, and customize your device via optional apps tailored to your specific need or industry. With available software development kits, you could even create apps of your own. 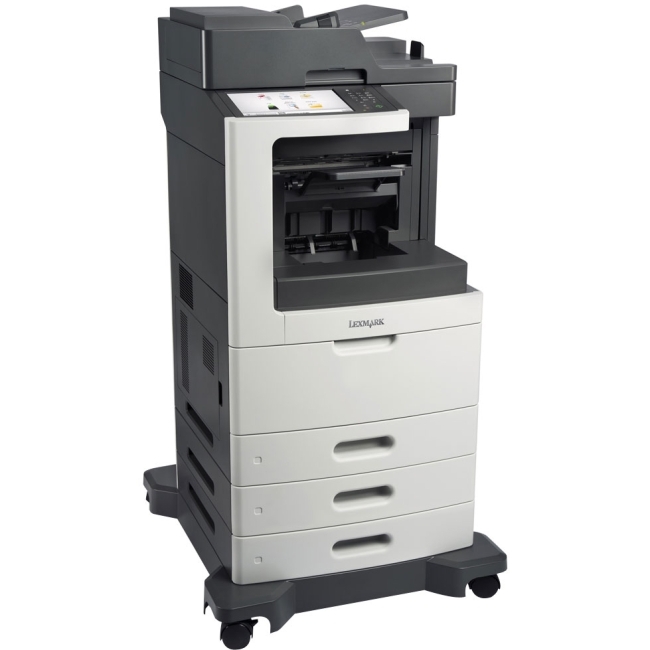 Lexmark smart MFP adaptability future-proofs your investment. Finishing options Expand your capabilities with finishing options that include multi-position stapling, hole punch, booklet, saddle stitch, and tri-fold. 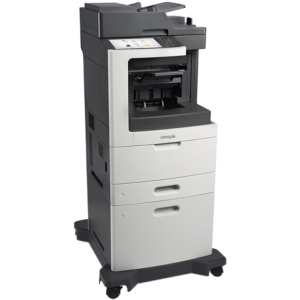 The finisher raises output capacity to 3500 sheets.